There came a point where I had to ask just somebody, “Is Applebee’s getting worse?” Or as a kid did I just have a really low food standard? When I was 10 years old, I viewed Applebee’s as the highest culinary achievement in dining. The food there was sooooo good. Then, I went back about a year ago and it was, well Applebee’s. I think maybe both happened. I grew up and they got a little more… frozen? Microwaved? (Same question to Forever 21. Am I getting more modest or are you getting more trashy? Ready for this see-through t-shirt trend to be over). Pancake mixes are my final example. As a young pup at many slumber parties, waking up the next morning and making pancakes (from a box) was the actual best and I just sat at my plate wondering if food could get any better. Fast forward fifteen years and I make these homemade p-cakes after living a life of box mixes. I nearly dropped my fork. Oh, this is what pancakes can taste like. Stir together flour, baking powder, salt, and sugar in a bowl. Add in milk, egg, butter, and vanilla and whisk until evenly distributed. Lightly coat a large skillet with butter and heat over medium-low heat. Pour in 1/4 cup batter. Flip when bubbles appear. Cook opposite side until slightly golden. Repeat with remaining batter, coating skillet again with butter after each batch. Serve with fruit, powdered sugar, maple syrup, etc. Lightly coat a large skillet with butter and heat over medium-low heat. Pour in ¼ cup batter. These were easy to make. I had all the ingredients. Trying to get away from the box mix. They had a different taste and were gummy in the middle. Not sure what to change. I made these old fashioned pancakes in hopes of finding a keeper recipe. I am over the Hungry Jack and Aunt Jemima boxed mixes. Thank you for sharing this recipe. I had all ingredients in the pantry and it was easy to whip up a batch. Moist and tasty! Great work! Best pancake recipe EVER! Easy and delicious. I wish I had scrolled through the comments first. My batter turned out more like crepes than traditional pancakes. Best pancakes ever! My family and friends love these! These pancakes were delicious I just made them and they are the best. My family’s favorite pancake for two years strong! They are so easy and so perfect. I exchange the portions of flour and milk by swapping these two they are the perfect consistency! Made the recipe as written and they turned out great. This is the first time I have made something other than Bisquick pancakes and they were easy and delicious. Won’t be going back to Bisquick thanks. 3 teaspoons equals 1 tablespoon. I love these pancakes! It’s the only recipe I use. I don’t know when you posted this recipe, but I’ve been using it for maybe 2 years now? I’m particular on my pancakes and waffles and this is THE perfect pancake. I actually use almond milk instead of cows milk because the consistency is better in my family’s opinion. With regular milk, the batter is too thick and the pancakes are a little too fluffy. Thank you for this! So glad to hear that! Thanks Ashley! The salt is way too much. I doubled the recipe and only did 1tsp of salt and it was too much. Doubled it again and mixed it together with no salt and it was perfect. 1/4 tsp is perfect for this. Other then that these are amazing!!! Made a buttermilk syrup and these disappeared so fast. Will make again for sure. Our recipe is really similar except it’s 1 1/4 c flour, 1 cup of milk and 2 tbsp of oil. No butter or vanilla. By the way – 3 tbsp IS a T or tbsp so you might want to fix that on the baking powder. Has anyone tried this recipe in a waffle maker? Very good. I understand the Applebee’s culinary mine was Taco Bell I thought that’s how Mexican food tasted. Oh my! 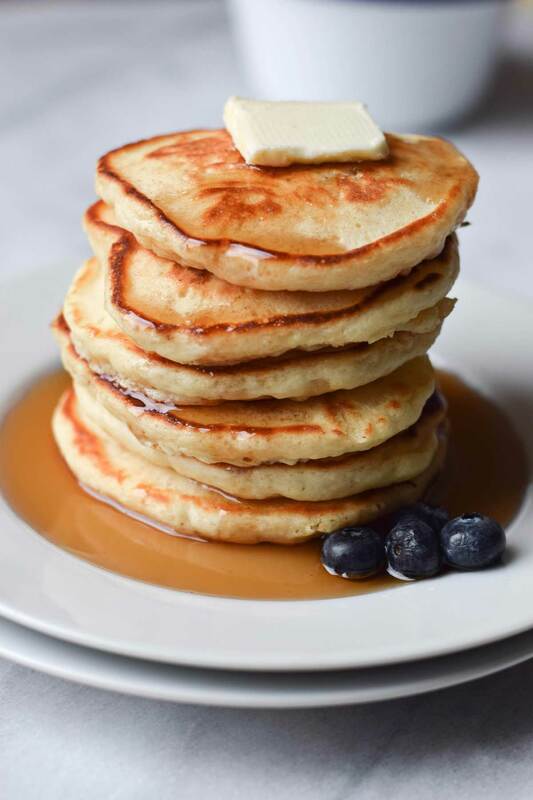 This pancake recipe is very good this comes from a very picky husband…flavor good…body good…these are different where did you get the recipe. My grandson requested chocolate chips to his. Thanks for a quick and easy pancake. Tried these today after realizing we were out of bisquick. I was a little hesitant as I have googled pancake recipes on a whim and they haven’t always turned out right. These seem to be a great medium for everyone. They are not “flap jack” thin nor are they the super thick overly bready type. But I know some people prefer the thicker “heavier” ones. These are NOT that. Hubby did enjot them however. I made my own butter milk ( simply add 3 tsp white vinegar to the milk) & used that instead. They were not very “fluffy” but they looked exactly like the ones pictured here on this page. All and all I would use this recipe again, but they are not the absolute best pancakes ever, more like a 7 rating. Pancakes were great! I liked how big and fluffy they were. Will probably use less baking soda, and little more milk, but overall a great pancake. Use almond extract instead of vanilla. You say soda powder in your comment but in the recipe she use baking powder. You only use baking soda when theirs something acid in your recipe^… If you use butter milk then you will add baking soda. I would do 1 tsp of baking soda and 2 tsp of baking powder. Thanks for the recipe. My 10 year old son said these were much better than the kind with the lady on the box, lol. Love the taste of these pancakes, but how on earth do you get them to spread?! I used the bottom of the ladle but it doesn’t work out so well and I end up with misshapen super thick pancakes that aren’t quite done in the middle. Add a little more milk to the batter to thin it out a little. Don’t over stir though. The more you stir the more tough they get. Less liquid for thicker pancakes more liquid for thinner pancakes. Experiment with it till you find the consistency you prefer. Add more milk to the batter. Try not to over stir the batter though. The more you stir the tougher they get. For a thinner batter add more liquid, for a thicker batter add less liquid. I prefer a thinner batter to get pancakes like Perkins. Experiment to get your perfect pancake. This is my go to recipe. Always delicious. I’ll sometimes even add blueberries or chocolate chips! Made last night. Easy steps. All ingredients in my cupboard already. Great texture & flavor. Fluffy how I like them. Have tired a handful of pancake recipes this one is the BEST overall. This will be my “go to” for great pancakes. Thanks. Made this recipe with vanilla almond milk, it was amazing. Thanks for your post. Also, cut it in half, didn’t need too many pancakes and it worked beautifully. I LOVE this recipe. The pancakes are delicious! It’s my go-to pancake recipe. 3 teaspoons is a tablespoon btw. By far the best pancake recipe I’ve made, I now have it memorized. Never going back to store bought pancake mix. Thanks for sharing! These were simple and tasty. I added an extra egg which made them rise a little more. I made these pancakes this morning and I’m glad as I only had one egg on hand. These fluffed up very nicely and not one pancake was left. I did, however, find the batter really thick so I did thin it out with more milk until I got to a consistency I liked. I will make these again. My kids love these but they definitely aren’t turning out fluffy, They are kind of flat (nothing like the photo) Any suggestions on what I may be doing wrong? Cooking is not my strong suit so I’m sure there is something I’m missing. The batter is pretty thick, should it be? I just made these yesterday and my family loved them! So easy and much better than the boxed mixes! Thanks for sharing this pancakes were delicious! THESE ARE NOT TOO SALTY! They are delicious and perfect in every way. I’m pancake happy right now! I agree with the woman who said these pancakes turned out too salty, however when I make them again, & yes that’s a WHEN, not an IF, I’ll just reduce the amount. These pancakes come out fluffy & oh so delicious. I couldn’t get enough! I made them with almond milk & a sugar substitute & added chocolate sprinkles for my toddler & they were an absolute family favorite! Thanks for sharing! Great easy recipe.Next time I will use half the salt, and 2tsp baking powder instead of 3.They were a little too salty. Just wanted to say thank you for this great and easy recipe–we love them and I have made many batches. My favourite pancake recipe! I add a few dashes of cinnamon and apple pieces. I could eat the whole batch myself. Just finished having these for late brunch. They couldn’t have been easier or turned out better! Excellent recipe!!! My favorite pancake recipe!!! And makes even better waffles! Thanks so much for posting! Made these this morning because I was out of our normal pancake mix. I was hesitant to try something new because my husband is finicky when it comes to pancakes, but he loved these and couldn’t stop talking about them! Thank you for the recipe! Made these for the first time today. We were out of pancake mix and my daughter was having a meltdown. This was the first recipe I found on Pinterest and I am glad I found it. These turned out terrific. I love how the batter fluffed up in the pan and the taste was on point. Thanks for the recipe. Made them this morning. Family loved them. This is my favorite recipe! Whenever I’m feeling pancakes I refer to this! I love it!!! I don’t really perfectly measure out ever but they always turn out tasty! Not one ingredient really sticks out from the others. And I try to have a mason jar with all the dry ingredients ready to go! thank you!! Really great recipe…!! !They are fluffy and delicious! This recipe is our favorite pancake staple. However, this morning as my children were begging for pancakes I realized I had no eggs and no baking powder. So I substituted flax seed for the egg ( 1 tbs with 3 tbs of water then let sit for a few min) and baking soda with lemon juice for the baking powder ( 1/4 tsp 3 times with dry ingredients and 1/4 tsp of lemon juice 3 times with wet ingredients) I have to say these pancakes were just as delicious as ever. My kids just said “Yay” when I asked how they liked them. Hope this helps if you find yourself out of eggs and other key ingredients. Hi Ashley, why do you say 1/4 tsp three times instead of 3/4 tsp? Just wondering if there’s something I’m missing about baking and measuring. they are beautiful! I’m a big pancake critic! But I too agree, I would do half of the salt. Otherwise perfect! regarding the comment about the pancakes being a little salty, should unsalted butter be used? I would try using just an egg white. I made these for brunch & they we’re delicious! They were fluffy. We usually use betty crockers recipe that’s in her oldrecipe book. The recipe she has online isn’t the samerecipe but these were pretty similar but a bitt better. It makes me laugh when ppl buy pancake mix! It’s so gross, & expensive.. &making them yourself Is so much cheaper and soo delicious&easy to make. Hey I made the pancakes and I doubled the recipe, they came out great! thanks for the recipe definitely will be usining it many many more times again! Thank you for the recipe. I’ve been searching for a go to and this is it. They came out great! Do I have to add anymore baking powder if I used self raising flour? I usually prefer buttermilk pancakes but I needed a good go to recipe to use when I’m out of buttermilk. This one was excelent! 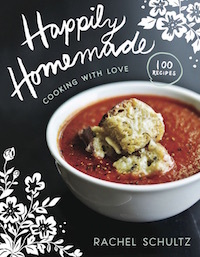 I’ve already jotted it down to put in my permanent recipe book and will be using it often. Thanks! You can add 1 Tbls. Apple Cider Vinegar per Cup of milk. This causes the milk to sour and is a great substitute for buttermilk. Made these this morning. They were quick and easy. My 3 yr old devoured them. I will make these as often as possible. I even had the thought to mix the dry ingredients in a mason jar with a list of the wet ingredients so anyone can make them or even make a great gift. These were great! Fluffy and perfect. I have been searching for the perfect pancake recipe for three years and finally found it. These are sooo yummy! made these this morning for the family and they were delicious! The batter was just the right consistency and the pancakes came out very fluffy! Thanks for the great recipe! I don’t know why everyone was complaining about the thickness of the batter. TRY COOKING THEM!!! The batter might look a little thick, but they turned out GREAT once I cooked them. It was nice to eat pancakes that were fluffy and not flat. BEST PANCAKES EVER! Made these today. Added more milk because the batter was too thick but it tasted great. i followed the directions to the letter and the batter when finished resembled a almost thick dough. I kept adding milk to thin it out so it would look like a normal pancake batter and it turned into a gack like substance. Not sure what happened as I’ve made several diff pancake recipes over the years and this has never happened before. These were OK. They didn’t have Much flavor to them. I did not have any vanilla extract so I used almond extract and it was really good! i made these as soon as I found the recipe and they were delicious turned out perfect!! Hi Rachel! I was looking around for a yummy homemade pancake mix. I thought yours sounded good so I tried it not expecting how yummy those would be! I always got the boxed stuff but never made by scratch…I’m now sorry for what I missed out on! I tell everyone who needs a quick recipe for pancakes about you! And thank you for making me realize what a pancake is SUPPOSED to taste like!!!! I made these this morning and they were absolutely delicious! These pancakes were amazing! I have just finished eating them this very moment. Fluffiest pancakes ever. No need to add butter to the skillet (which is where I have gone wrong before) So very good, though I just added regular milk in place of the buttermilk. Still amazing. Thank you for this great recipe. I recently started writing my favorite recipes down and storing then in the kitchen. This recipe made it into my recipe box. My whole family loved them so much. I put 1/2 of the salt and added 1 1/2 cups of milk instead of 1 1/4. The recipe is great, but for me needed these changes. I’ve been making pancakes for years and have never, ever found a satisfactory recipe. Too flat, lumps of flour, stick to the pan, any number of issues despite following the exact recipe always seem to happen. I made this recipe tonight for dinner and was so astounded and in love I called my husband into the kitchen to look at the beautiful pancakes! Haha. All that to say, thanks for a GREAT, and my new go-to, recipe! Do you use AP or self-rising? 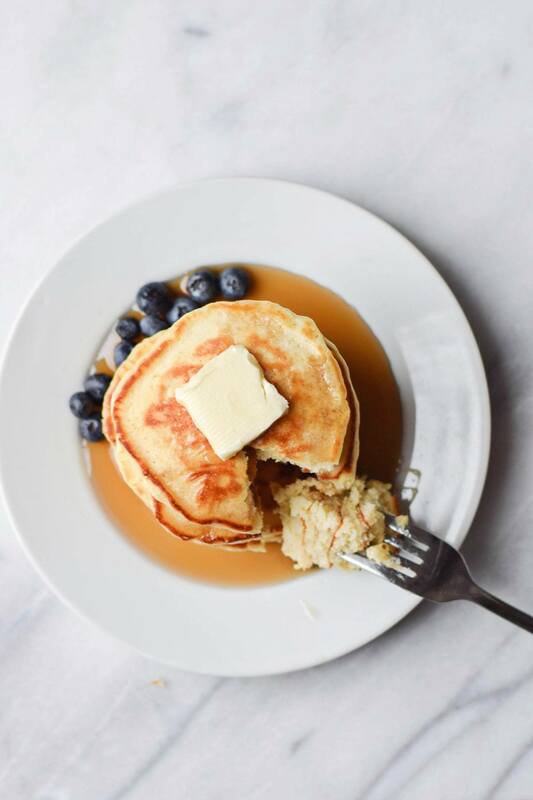 did you cook these pancakes in any kind of fat (oil, unsalted butter, coconut oil)? These pancakes turned out great!! despite accidentally leaving out the butter and used almond milk instead of milk, This will be my new packcake recipe from now on. I plan to make again for tomorrow’s breakfast or dinner. Hello! I was just wondering if I could use this recipe and bake the pancakes in cupcake tins instead? I’ve made baked pancakes before and they were great, but it was slightly a different recipe. Yours looks SO much more mouthwatering though, so I was wondering if it would work. Thanks! I want to make only 4 pancakes, is it ok if I cut ingredients by half or should I make adjustments in any? Ok I never, and I mean never, comment on blogs. I’ve tried countless pancake recipes for years trying to find the right one. Your recipe is incredible! SO perfect. Thanks- I can finally stop the terrible search for the right one. I made these this morning and they turned out just as pictured and absolutely delicious! Great recipe! Thanks!! Mine didnt brown as nice. Great recipe! I substituted buttermilk for regular milk and added a handful of blueberries. Just wonderful! Mine where thick and fluffy. A keeper for sure. Is there a difference between baking soda and baking powder? Because I just made these and used baking soda, assuming it was the same and they tasted fowl!!!!! I was quite disgusted with how they turned out!!!! If you don’t have baking powder, you can use 1/4 tsp baking soda plus 1/2 tsp cream of tartar per tsp of baking powder called for. My family wanted pancakes this morning and I was out of pa cake mix so I tried this recipe. Oh my, so easy s do so light and fluff. I am adding pancake mix to the list of prepackaged food I won’t ever be buying agsin. My husband who hardly ever eats pancakes is still raving about these. Thanks for the recipe. I made these for Christmas breakfast this morning and they were terrific. Added some blueberries for some extra yumminess. Thanks for a great recipe. Now, when you say “serves 7-8″… Do you mean it yields 7-8 pancakes? Hello, I was wondering could i use almond and coconut flour and almond or coconut milk to make these lower carb ? I have not tried this, but let me know how it goes for you! We used Almond Flour on these tonight. They were yummy but didn’t fluff as well. 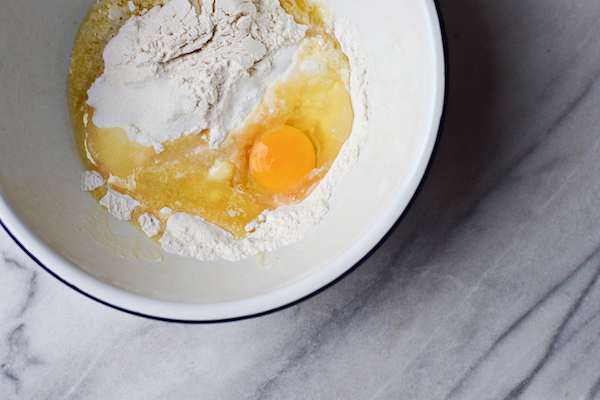 Can you make the batter the night before and keep it in the fridge? Or would you seriously compromise taste & fluffiness? I have not done this, but if you try it please let me know how it goes. Yes you can ,my dad made this when we were young &still does.They are the only one my family will eat,you can refrigerate them all you do is stir a little before cooking. just made them!super easy and great taste.woke up wanting pancakes but no mix. My new go to recipe.Thanks doll! Made these for a quick dinner tonight. Ran out of mix and found these on Pinterest. Used whole wheat flour and coconut oil instead of butter and they were phenominal. Everyone agrees that this is our new go to for pancakes. Thanks so much for sharing! I made these this morning with my 11 year old daughter. They are yummy! Should be fun to play around with mix-ins too. I’m thinking maybe apples and cinnamon for next weekend. :) Thanks for the great recipe! I’m making these again as we speak too! These look good and similar to my moms scratch recipe. Sadly she doesn’t make those too often. I can’t wait to try this one. Thanks! We made these just the other night too.